When we think about lobster rolls, we usually imagine ourselves in a quaint Northeast town surrounded by people in #FreeTomBrady T-shirts. But while New England may be the biggest hub of lobster roll activity, look hard enough and you will find many other delicious interpretations. One of those, surprisingly, is in Harlem. At LoLo’s Seafood Shack in New York City, chef Raymond Mohan gives his lobster roll a Caribbean twist. 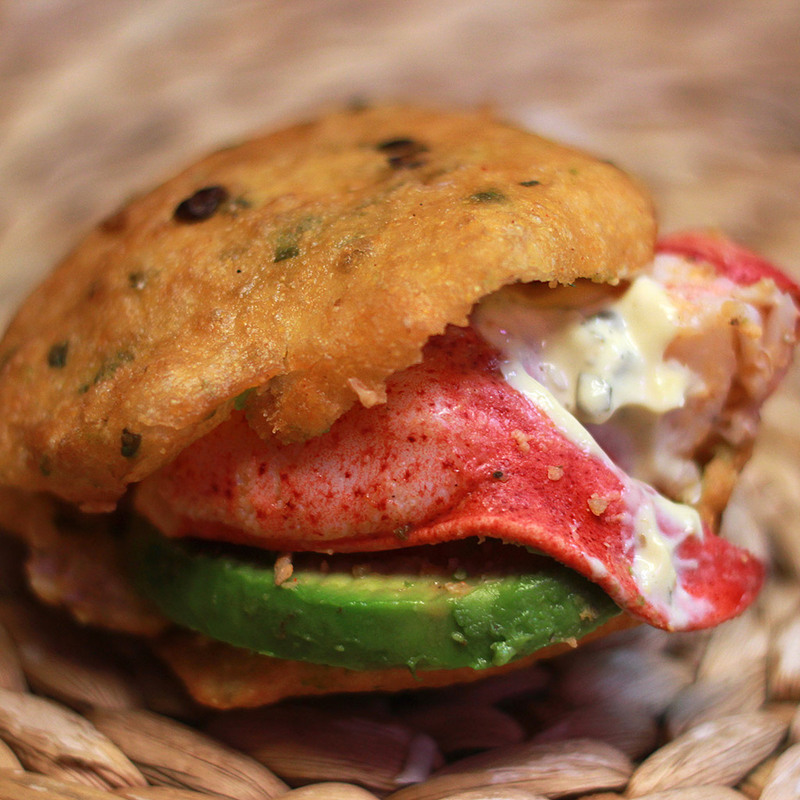 And while some purists might see his abandonment of the traditional hot dog bun as lobster roll apostasy, we think it is a stroke of brilliance. The bread: The most distinctive part of this lobster roll, LoLo’s ditches the typical toasted bun for a Caribbean Johnnycake—a crisp, sweet cornmeal cake split down the middle that complements the sweet lobster meat. The filling: Continuing to buck tradition, LoLo’s doesn’t use mayo or drawn butter with its sustainably sourced lobster meat. Instead, they use a creamy remoulade with a zip of lemon and mustard.